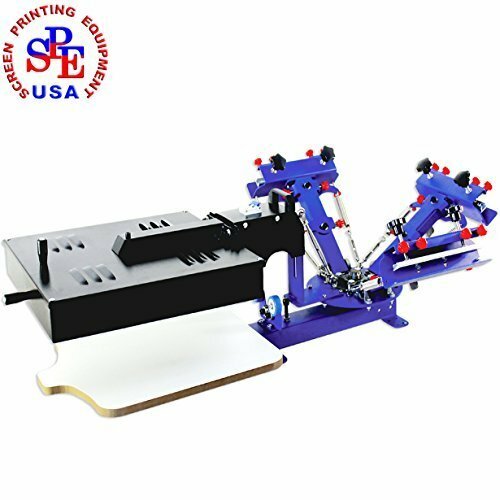 ● They can print onto clothing (especially for T-shirt), woven fabric, metal, paper, copybook, plastic, circuit board, wood, glass, ceramic tile, leather and other plane printing substrates, which is especially suitable for small businesses and individual printing shop. Easy operation but with high efficiency as the screen printing platen layer can rotate independently & the drying box has been installed. Excellent packaging: All our equipments are perfectly packaged by high-strength five-layer corrugated carton, inside with standard soft and hard foam and three-ply board, all metal parts are separately packaged, which guarantees product safety during transportation. The Code Number:006211 The dryer is equipped with intelligent control system, which is energy & cost saving but with higher efficiency. When the drying box is moved above the printing pallet, it will dry automatically; while moved away from the pallet, it will stop working automatically.